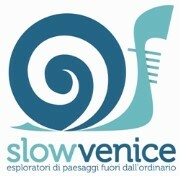 SlowVenice employs naturalistic guides with over twenty years of experience and deep knowledge of the area of Venice Lagoon and Veneto, its history and peculiarities. The best way to explore Venice and make the best of your journey is to use the services of a local and special authorizing naturalistic guide. Our professionality and ambition are to offer excellence, rewarding experiences of discovery the extraordinary beauties of Venice and the most spectacular and delicate places of the Lagoon. Our strength is rooted in the territory, gained credibility with our customers, individuals and institutions. With us you can become explorer of landscapes out of the ordinary!